A foreigner being questioned by NHK about how much she loves Japan has given her responses speaking completely in katakana. 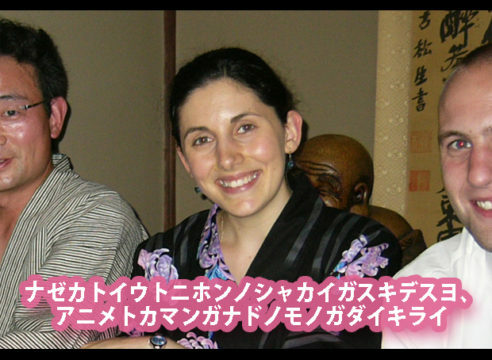 Lisa Newman started leaning Japanese in high school and mastered the art of katakana speaking by the age of 21. The NHK interviewer could only make out certain parts of Newman’s answer and attempted to ask her a follow up question. “How old are you?” asked the interviewer. The interviewer presumed Newman was encouraging him to guess her age and went for 5 years below what he suspected given she was gaijin, contrary to the usual 3 years. “I’ll take an honest guess – are you 16?” the interviewer asked. The TV segment finished with Newman being asked if she could befriend the programming staff.